It’s Oral Cancer Awareness Month: Know Your Risks! Cancer: no one likes to hear that word. No matter the kind of cancer we all assume the worst, and with good reason. Most everyone knows someone who has had cancer, or someone who’s life has been affected by it. Cancer is one of the leading causes of death in America, and oral cancer is one of the more dangerous types! Screening for oral cancer is a standard part of what we do at Really Smile Dentistry. We want to take every opportunity to prevent the progression of this dangerous form of cancer, and we can only do that by successfully preventing it in patients like you. While we can screen for cancer at our office that’s not always enough to put your mind at ease. If you want to be sure you stay healthy you need to know how to minimize your risks and what to look out for. It’s impossible to completely eliminate cancer risks, but that doesn’t mean you can’t reduce them to the lowest point possible. Plenty of cancers spread because of lifestyle choices or habits that we develop, and cutting those out is the best way to reduce the cancer risks that you can control. If you want to reduce your risks as greatly as possible you need to change the following habits. Tobacco smoking is the most common causes of lung cancer, and it’s pretty bad for your mouth too. Smokers increase their risks of developing oral cancer by six times that of non-smokers. Smoking doesn’t hold a candle to the risks posed by smokeless tobacco use. Dippers, chewers, and snussers are multiplying their risks by about 50 times! Heavy drinkers don’t fair much better than smokers – their risks are increased around six times as well, and around 70 percent of oral cancer patients drink heavily. A poor diet, particularly one that leaves out essential fruits and vegetables, has been linked to increased chances of oral cancer. Just another reason to eat well! Excess sun exposure, especially when young, is linked to skin cancer and oral cancer! The lips are just as delicate as the rest of your skin, and if cancer starts there it quickly spreads into your mouth. These are the things you can control, so be sure not to end up developing cancer because of a factor you could have managed! Uncontrollable factors exist as well, and there isn’t always a lot you can do about those. A family history of any form of cancer puts you in a higher risk category. Oral cancer could easily end up being what affects you, especially if you have any other risk factors along with a family history. The human papillomavirus, or HPV, comes in several different forms. HPV-16 is one of the most dangerous, causing around 70 percent of diagnosed cervical cancer cases. It’s also a major risk factor for oral cancer as well, both in men and women. There are also a number of non-visible symptoms that you need to be on the lookout for. These are things that only you can notice, and they could be the difference between a diagnosis and advanced cancer. Together We Can Beat Oral Cancer! 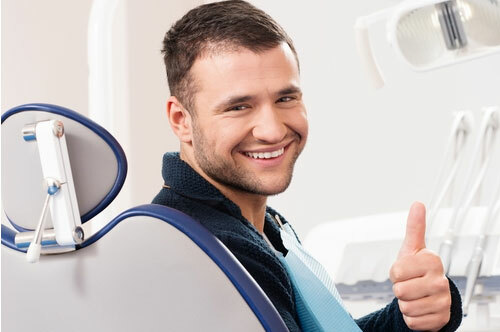 If you’re worried about risks or symptoms of oral cancer – and even if you’re not –regular dental exams are an important part of staying healthy. Don’t let yourself become an oral cancer statistic: help us fight it by taking an active role in your oral health! Make an appointment with us online or give our Carmel office a call at 317-451-4050. We look forward to seeing you soon!